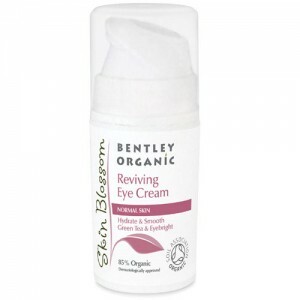 Restore Dry, Sensitive & Normal skin with this antioxidant rich organic moisturiser. Argan and Shea Butter rejuvenate, while Cocoa Butter hydrates and Jojoba protects. FOR DRY, NORMAL AND SENSITIVE SKIN TYPES. 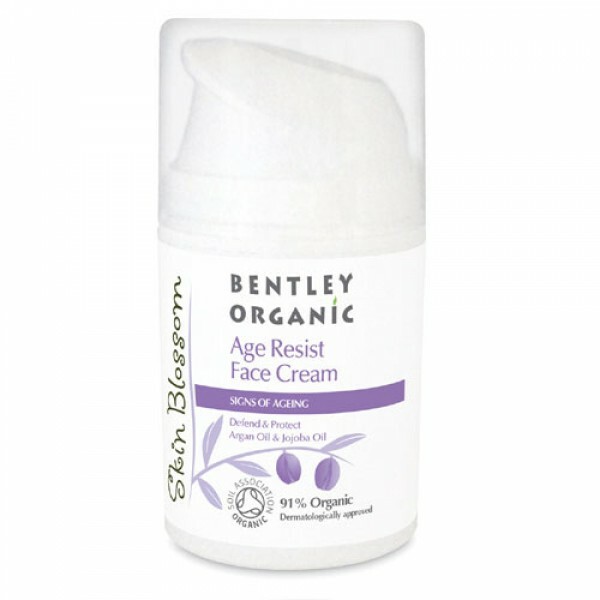 Age Resist is the new name for Skin Blossom Replenishing Face Moisturiser. Now repackaged but the formulation remains the same. At Skin Blossom they believe everyone deserves beautiful, healthy skin and hair. That’s why they create effective natural products using the finest organic ingredients, without the high price tag. You can be assured of the integrity of their products as they are all certified by the Soil Association and registered with the Vegan Society. The range is 98.85% natural & free from harsh ingredients like SLS, SLES, ALS, Phylates, Parabens, Phenoxyethanol, DMDM, PEGS, Silicones, synthetic colour & fragrance, Petrochemicals, Urea, DEA, MEA, TEA, GLYCOLS and GM ingredients. Packed with Antioxidants to restore and hydrate. This moisturiser feels very silky and makes skin very smooth. It's non-irrating, sinks into the skin well and can be used night or day. It wears well under make up. A little goes a long way. Very affordable and good quality ingredients. This seems to make my skin look less blotchy, and feel smooth. I don't need to use as much as I do with other creams. It can feel a little sticky when you first put it on but that only lasts about half a minute then it sinks in fine. Affordable too. Apply to cleansed face and neck morning and night. SLS,SLES, ALS, Phylates, Parabens, Phenoxyethanol, DMDM, PEGS, Silicones, synthetic colour & fragrance,Petrochemicals, Urea, DEA, MEA, TEA, GLYCOLS and GM ingredients.